The broad outlines of the immigration crisis are plain: several Central American nations are in deep crisis, spurring thousands to seek refuge in a no longer hospitable United States of America. An autarchic President, elected in large part on his hostility to such migrants, has narrowed the grounds for amnesty, rejected the DACA policy of regularization of young immigrants who unlawfully entered the U.S., embraced punitive policies, and refused to take measures to assure a functional system of immigration courts. 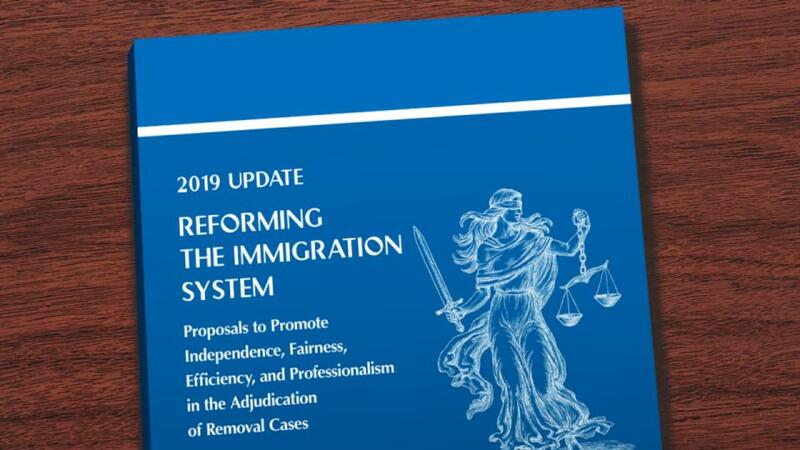 The imposition of individual case production quotas and time-based deadlines tied to an immigration judge’s performance evaluation is “unprecedented”and has been widely criticized. Although proponents of the case production quotas view the requirement as a necessary step towards reducing case backlog, critics have denounced the move, arguing that it will undermine judicial independence, expose judges’ decisions to additional legal challenge, create additional backlog, and ultimately threaten due process.